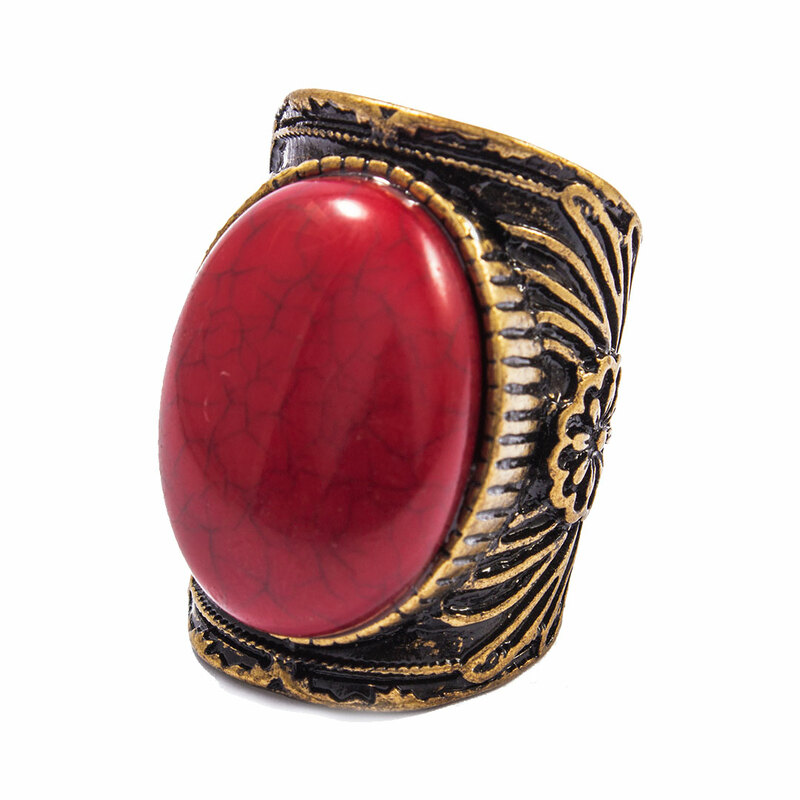 Red Antique Golden Crown Finger Ring. A statement ring. A staple in every girl’s accessories box. Vintage fashion. Jewelry Rings Uniquely plated ancient big oval ring for women. Perfect for creating a stacked ring look with multiple dainty rings.